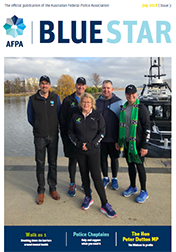 The Australian Federal Police Association Magazine is a quarterly publication that is issued to members free of charge. It serves as a respected information source with stories that matter most to our members. 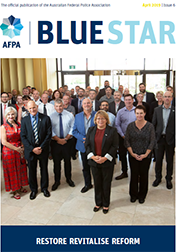 In December 2017, the AFPA launched BlueStar, a new and improved magazine that included a new look and name. You can read current and past online versions via the link below. 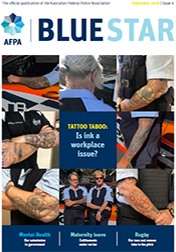 Got a story for our Magazine? 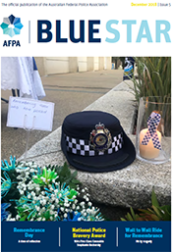 If you have information or a story you consider to be of interest to the broader membership and worthy of publication in the Magazine, please email afpa@afpa.org.au.